Sen. Norm McAllister (R-Franklin) continued to collect pay for the final weeks of the legislative session, even though the Franklin County Republican was absent from the Statehouse after his May 7 arrest on sexual-assault charges, according to state records. McAllister was paid the standard legislative weekly salary of $676.56 for the weeks of May 3-16, according to the state Human Resources Department. The legislative session ended May 16. McAllister, reached by phone at his Highgate home Wednesday, said he hadn't thought about the pay because it's automatically deposited. "I certainly don't want it," he said. "I wasn't there." Legislators are automatically paid $1,353.12 biweekly during the five-month legislative session, unless they alert the state to stop the pay. Legislators are under no obligation to do so if they are absent from the Statehouse, but some do. Legislators are also eligible to receive per diem expenses during the session. McAllister, who was arrested on a Thursday evening one week and was absent through the next, did not submit any expenses for the final two weeks of the session, according to the Legislative Council office. McAllister said he hadn't remembered to do that. Weekly expenses come to about the same amount as legislative pay, he said, so, "We're almost even." Considering that, McAllister said, he didn't know whether he would return the pay. "I've got to see what my bank statements are," he said. McAllister, 63, of Highgate, pleaded not guilty May 8 to three counts of felony sexual assault and three counts of misdemeanor prohibited acts. State police had arrested him outside the Statehouse. The charges involve three women. Comments McAllister made to the alleged victims that were detailed in court documents prompted Gov. Peter Shumlin, Lt. Gov. Phil Scott and several fellow senators to call for his resignation from the Senate. McAllister has declined to step down. McAllister maintained his innocence Wednesday. "I know I didn't do anything wrong," he said. "I would like to see how some of this stuff goes. If the system works the way it's supposed to, everything will be fine." On the legislative pay issue, it's up to each elected lawmaker to decide whether they should receive pay when they are absent. Three legislators asked that their pay be stopped for brief periods during the past session, according to the state Human Resources Department. Cynthia Browning (D-Arlington) docked herself 10 hours' pay in February. Rep. Kitty Toll (D-Danville) asked not to be paid for a week in February and two days in April. Rep. Warren Van Wyck (R-Ferrisburg) bowed out of two days of pay in April. 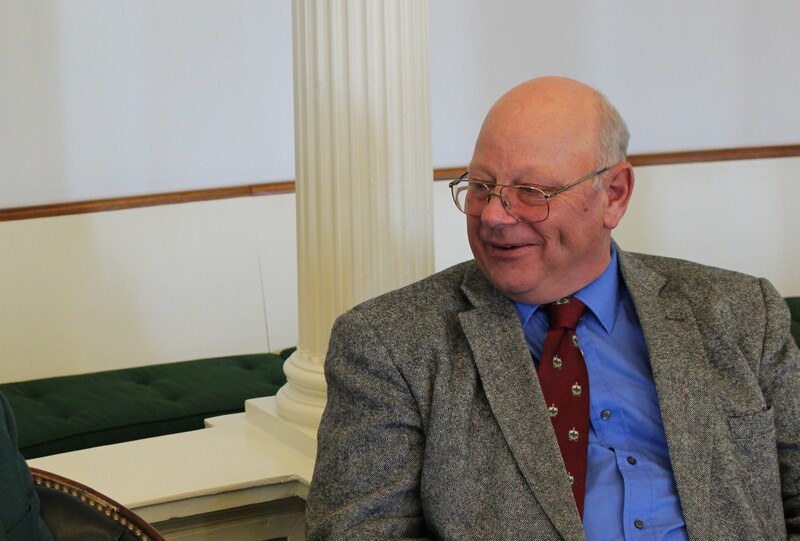 A fourth, Rep. Oliver Olsen (I-Londonderry), asked not to be paid for the entire session.